Last year sold out in record time - be sure to get your tickets early. 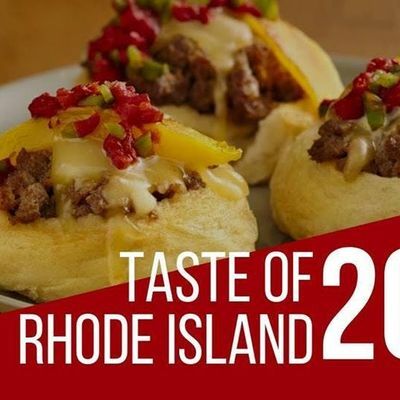 Taste of Rhode Island is a premiere culinary tasting event – a delicious celebration of great food, fabulous entertainment and, local wine, beer and spirits. Amazing eateries, caterers, bakeries, wineries, breweries and artisans will be showcasing delicious offerings. Whether you are a local wanting to discover more about the area’s booming food and drink scene or, you are from outside the area, looking to explore the smells, tastes, sights and sounds of what Travel + Leisure magazine and others have dubbed one of the top foodie destinations in the nation, you won't want to miss...The Taste of Rhode Island. Ticket holders will be subject to show valid photo ID. You must be at least 21 to sample alcoholic beverages or order drinks from the cash bar. No outside food or beverages allowed.